Memory foam dog beds are not only the ultimate treat for your dog but they have benefits for your dogs health. Reduce the pressure on your dogs muscles and joints by moulding round your dogs joints rather than your dogs joints having to mould round a foam. The above benefits are great for older and arthritic dogs but can also provide a better start on joint health for younger healthy dogs. When choosing a memory foam dog bed make sure the foam has a top layer of memory foam and then a bottom layer of dense foam as this will stop your dog from hitting the floor when lying down as memory foam is very soft. It will also keep them cooler, if a bed is made of a thick piece of memory foam not only will it be too soft but your dog may find it too warm to stay in their bed for prolonged periods of time. 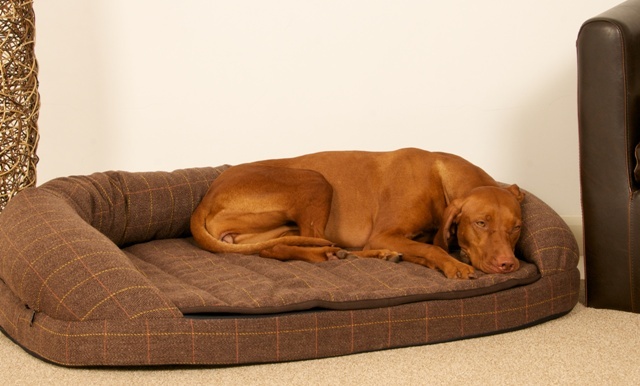 Visit http://www.overthetop.co.uk/dog-beds-pet-accessories/ for our full range of dog beds.